You can renew a domain name in the .CL extension at any time, until the end of the domain’s validity period. You can also use the auto-renewal feature for CL domain. .CL is a top-level domain that is widely used among users around the world. Administered by “NIC Chile”, located at the University of Chile. The list of addresses that can be purchased in this zone is provided in the Regulations approved in 2005. Buy name in zone .CL can be both natural and legal person, regardless of the country in which it is located. 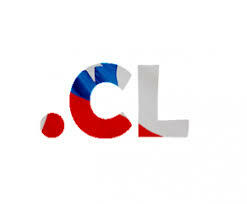 Domain name .CL will be a great solution for owners of Internet projects of different directions. Thanks to domain .CL can attract users from Hungary and other countries. CL is a regional domain extension (ccTLD). Regional domain areas are assigned to countries, states or regions. Often consist of two characters, for example .RU, .US, .EU, .BZ, .IN. There are also gccTLD domain zones. These include national domain zones (ccTLDs) and it is open to all (gTLDs). These zones include the Micronesian domain extension .FM, which is used for radio and music everywhere. The auto renewal service take care of your .CL domain and renew it on time. You can always enable or disable the auto renewal service. On the Regery services a FREE domain visitors forwarding from the .CL domain to another is available. This is very convenient if you need to redirect visitors from .CL site to a new web resource. Forward e-mail from a domain in .CL area to another e-mail address. With Regery services this is easy. Transfer protection .CL domain name allows you to prohibit the transfer of the domain from your account, and also allows you to prevent changes to your NS servers. The service is provided for FREE of charge on the Regery Services. CL domain transfer process is characterized by the absence of any risk. All records in the domain CL can be configured in the easy control panel. Create resource records, such as: CNAME, A, TXT, NS and others, forward mail from the virtual shop@mydomain.CL to the real address myshop123@gmail.com for FREE.